Dhaka, 25 September, Abnews: Mr. Arnab Bhattacharya started learning Sarod at an early age from his father Mr. Swapan Kr. Bhattacharya and later from Pandit Buddhadev Dasgupta of the Senia Shahjahanpur Gharana. He achieved 'Sangeet Prabhakar' degree from Allahabad University in 1999. Mr. Nilimesh Chakraborty was born in a musical family and started learning Tabla from his uncle Sri Ajay Chakraborty and later from Shri Debasish Mazumda. He was also trained under the tutelage of Pt. Swapan Siva of Farrukabad Gharana. 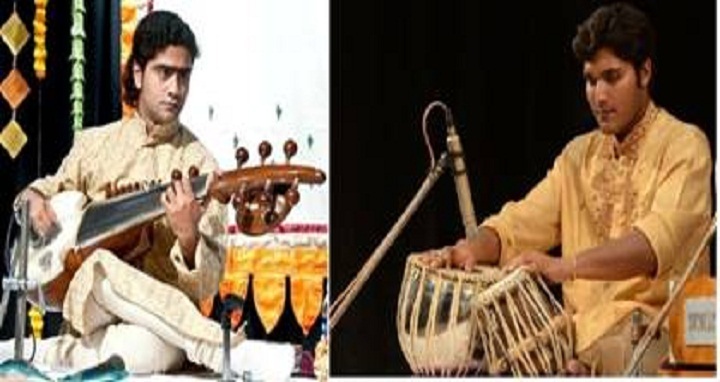 He has received several awards like 1st position in Doverlane Music competition, Sarba-Bharatiya Sangeet Parishad and Murari Smriti sangeet samellan, 2nd position in the West Bengal State academy competition, TTIS fest award etc.